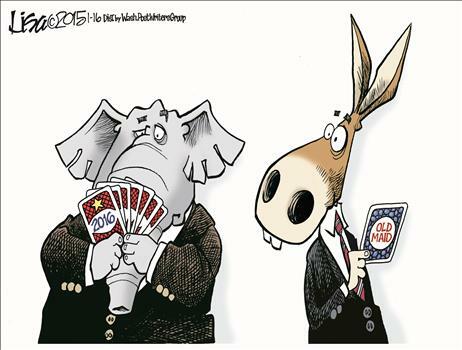 No primaries have taken place yet, but everyone knows the 2016 campaign has begun. Over the weekend in Iowa, where the first test will occur about this time next year, a parade of Republican presidential hopefuls took to the stage at the Freedom Summit to share their vision for what America should be and how they would handle the transition away from the Age of Obama. According to the reports I’ve read, the two standouts from the event, which was largely attended by the most conservative of the Republican electorate, were Texas senator Ted Cruz and Wisconsin governor Scott Walker. Everyone expected Cruz to go over well with the crowd; they didn’t know what to predict about Walker. Yet the courageous governor, who has made reform after reform in a state that isn’t known for its conservative politics, and who survived a recall election as well as winning re-election, surprised many. He was both forceful and personable. 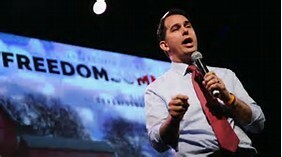 Some who were calling Walker the Dark Horse of this campaign are thinking he may be in the top tier after all. This is all very early, of course, so all prognostications are tentative. Everyone realizes that just one misstep can spell disaster for any candidate. Ask former Texas governor Rick Perry about that. Two notable no-shows for the event were Mitt Romney and Jeb Bush. You can judge whether that was smart or not. On the Democrat side, however, there is no race whatsoever. Yes, Joe Biden makes noises occasionally; Elizabeth Warren, senator from Massachusetts with virtually no government experience, is the darling of the radical radicals (I use that term because it’s really rather difficult to distinguish anymore the difference on the Left), but I don’t see that happening. Do you think the rest of the country might also hesitate to put another inexperienced person at the helm after what we’ve seen the last 8 years? So, barring a physical problem (and some have speculated there may be one), Hillary Clinton will be the Democrat candidate. One could say she’s experienced, to be sure. But how successful has she been? Her chief claim to fame, while not necessarily a claim to competence, is that she was First Lady during her husband’s reign. But what did she really accomplish in that role? It’s hard not to acknowledge the only reason she has the press she does is because of who she is married to. As a senator, no one can point to any landmark legislation she championed, and again, the reason she even won that seat was due to Bill Clinton’s coattails among Democrats. Then there was her stint as secretary of state, with the infamous “reset” button with Russia and the whole Benghazi fiasco, blaming it on an internet video and sending the poor man who made it to prison. What a sterling resumé. Then there’s her laughable comment that she and Bill were broke when they left the White House. 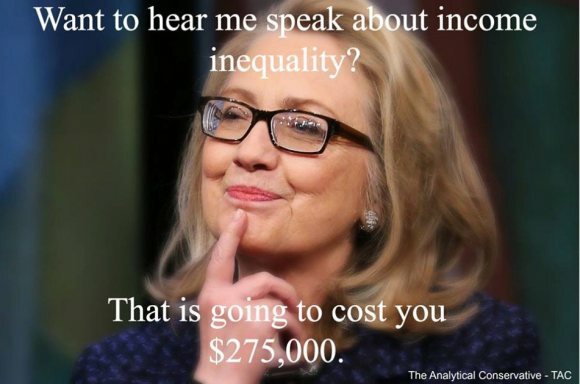 She’s also expressed deep concern for income inequality while simultaneously raking in huge amounts herself for paltry speeches. If universities complaining about costs want to pay her those princely sums, that’s their call, but it’s pretty foolish. 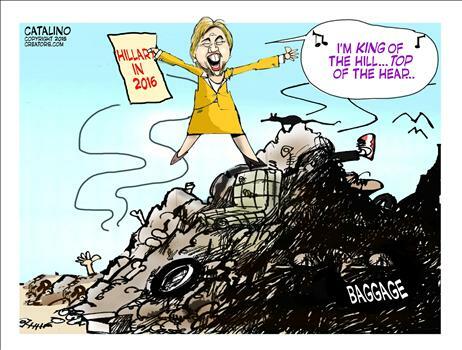 Already the polls show she is far ahead of any Republican challenger in a general election. That, though, is primarily a name-recognition factor. She’s shown in the past she can be a terrible campaigner. If Republicans choose, for once, a strong, articulate candidate who stands on principle, that fluffy lead can vanish. And if the electorate doesn’t lose its mind again, there is hope. President Hillary Clinton (you don’t know hard that was to write) is not inevitable.